You get a phone call late morning or early afternoon – that pretends to be from BT, SKY, or somewhere popular yearly subscription service; informing you that your contract or insurance is close to expire. They friendly ask if you would like to continue the contract and then offer you to upgrade there and then (MISTAKE)! They even say they have your card details from last year, and can you please confirm that the card-number starts (not ending) with 4159. And of course, this is incorrect so you automatically change the card number to the correct one (MISTAKE)! They might even be cheeky and snail-mail you an invoice asking you to send a cheque, as your payment didn’t go through. So, you do (MISTAKE)! A week later you might get another snail-mail informing you that if you don’t pay they will send the debt-collectors to you. DON’T RESPOND! Either hang up or say “Sorry I can’t speak now; can I have your name and number please, so that I can call you back”. 90% of the time they will hang up. Then phone the company in question and query the call/writ. It is most likely a forgery and a scam. Then report the number and name to the fraud police. 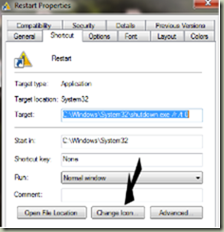 Create an instant shutdown and/or restart icon on your desktop. You will need to use the windows program shutdown.exe (which is normally located in C:\Windows\System32\) and its parameters. The table below is a shortened list of the parameters needed for instant shutdown and/or restart plus the help parameter to display all the parameters defined within your windows system. Restarts the computer after shutdown. Sets the time-out period or delay to sec (seconds) before a restart or shutdown. This causes a warning to display on the local console. You can specify 0-600 seconds. If you do not use /t, the time-out period is 30 seconds by default. Displays help at the command prompt, including a list of the major and minor reasons that are defined on your local computer. Now that we know what to use, how do we get it onto the desktop? Easy! 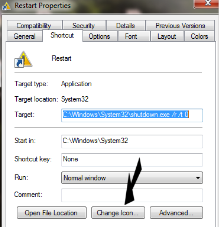 By creating a desktop shortcut icon containing the shutdown/restart command line as follows. 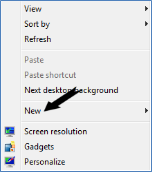 Right click anywhere on an empty space on your desktop to open a menu where you can find “New”. Select/Click on “Shortcut” to open the Shortcut creation wizard. It should automatically open in the “Shortcut” tab where you will find – near the bottom – the Change Icon… button. Click the Change Icon… and another window with lots of icons opens. Scroll through these until you find an icon you like. Click on it; followed by clicking the OK button to close that window. Just click either and that’s it. Note you don’t lose the original shortcut. 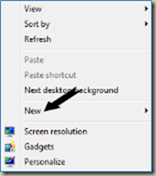 To unpin an icon from the taskbar/start menu, just right click on it and click “Unpin this program from Taskbar” or “Unpin from Start Menu” and they are gone; not uninstalled nor deleted because what you unpinned was a shortcut and NOT the actual item. I was having problems creating “Restore Points” in windows 7. When I opened “System Protection” everything was greyed out; and all I got was an: “System Restore Error Code 0x81000203”. Both “Volume Shadow Copy” and “Microsoft Software Shadow Copy Provider” must be started and set to automatic. With both of these services active, the System Protection tab will work. Their link to Microsoft didn’t work but here is a link that works: https://answers.microsoft.com/en-us/windows/forum/windows_7-performance/how-to-fix-error-code-0x81000203/0358b3df-a34f-e011-8dfc-68b599b31bf5 This describes how to fix this error for the “Volume Shadow”; but just apply the same for “Microsoft Software Shadow”. My “Restore Points” are now working. One more suggestion: Don’t forget to click the Configuration button to select the drive, and set the Maximum Disk Space to be used (to something more than zero, depending on how many generations of restore points you want, set it to at least a few GB). Also just in case, create the first checkpoint yourself. That’s it, and I am a happy bunny. For once the “Getting started” documentation was clear and correct. I plugged the Chromecast #1 (upstairs) into my TV via HDMI; then I had to go online on my smartphone to do the “Setup”, this involved downloading and installing “Google Home” this was so beautifully easy. Before the Chromecast could be used it needed to update its software. I was prompted to link it to my router; and after that, it didn’t take long before it was up and running. While I was at it I also installed “Google Home” on my live smartphone (Samsung S4) and on my tablet (Samsung Tab 4), great, the Chromecast can now be controlled by any of the 3 gadgets. I then wanted to install another Chromecast #2 downstairs. It hooked up ok, but the update just looped – it stayed on 0% for hours on end until I “x’ed” the upgrade. Thinking about it decided that maybe the “Google Home” apps needed to be re-installed, so I uninstalled “Google Home”, cleared the cache and data in “Play Store” – but alas – my Wi-Fi network is now refusing to let me install anything from “Google Play Store”. It was a faulty “Chromecast” and it has been returned and refunded. It was not my applications/gadgets that were faulty; because when I went to my neighbour and use their Wi-Fi to download from “Play Store” it worked fine. It took about 3 weeks before my Wi-Fi was working correctly again. 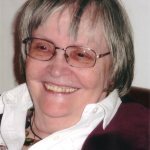 My pc-muse never visited me for the first U3A meeting after the summer break; but I managed to talk about emails and virus “pass-on” when replying, thanks to one member sending in a question about it. This led to talking about Office Outlook 2010 and Microsoft forcing users to change to MS-Exchange Server. By telling them about my experiences, I touched on a couple of features in Outlook 2010 that the members were not aware of: Filters, Task, Appointments and recurrence. This will now become a topic for the next U3A meeting. I also talked about backup; because I was annoyed that some backup programs don’t warn the user NOT to backup onto the same device where the data is held. This led to questions about how to backup Outlook 2010 and a physical demo of said as a topic for the next meeting. When I was talking about my email system I demonstrated the way I had managed to move my system from Outlook 2010 to Mozilla Thunderbird; and vaguely touched on the difficulties of syncing the calendar from my PC to my mobile phone and tablet. Some members were interested in Thunderbird; like how to get started, download, install, and setup the email accounts. So here is another topic for a later U3A meeting. I can’t remember how it came about; but somehow we managed to talk about OCR and I stated that most three-in-one printers came with some sort of OCR software; most members were not aware of this; so I requested they send me the name of their printer and I would check their software packages. This will become a short topic for another U3A meeting. While talking OCR I also mentioned that the software I am using (OmniPage Pro) will let me open a picture of text, scan it and create text that can be imported into Word or Excel. This is quite a snazzy feature but I think one has to pay for that feature. Somewhere along the many thoughts that were flying about we also spoke about using “Google Translate” to capture speech and convert it into text for Word. I tried it on the laptop but the microphone wasn’t available. Why? Because some laptops don’t have microphones installed. But if you add an external microphone to the laptop; Google Translate will display the mic-symbol. I noticed that I was receiving email on my mobile that I wasn’t receiving on my desktop through Microsoft Office Outlook 2010 Pro. The last mail I had received was on the 9th of July.I searched high and low (for 2-3 days) and couldn’t find the reason why. There just wasn’t any useful explanation on why outlook.com emails weren’t received in Outlook 2010. I remembered some Microsoft emails way back in Feb. / Mar that was talking about not receiving emails after their server upgrade. This email stated that I delete the existing IMAP account and create a new Microsoft exchange account. That sounded easy enough. What I didn’t do was to back up the old system and that’s where all my problems started. I had a beautiful automated system that worked with three POP3/SMTP accounts all embedded into one primary, plus five separate IMAP (one hotmail.com, one live.co.uk, two outlook.com and one gmail.com) accounts. The whole email system was controlled by approximately 360 rules that would move my emails into relevant folders depending on contents and where they came from. I also had a fantastic task setup that would automatically create a new task when completing the old one. This is what happened when I changed the first of the four Microsoft accounts to “Microsoft exchange server” my system was destroyed! The reconfiguring of that account merged itself into my primary account with the other POP3/SMTP accounts. I could NOT uninstall it without uninstalling the perfectly good POP3 accounts. Not only did it not want to be uninstalled it also became the master of the group, and because it didn’t have any rules and tasks, guess what; I lost the work I had created over the years, no rule, and no tasks. What a mess! Thank you Microsoft another brilliant software manipulation! I also lost the use of my shared linked Hotmail calendar (again). As you can see I have had a brilliant week trying to solve problems introduced by Microsoft converting (forcing) everybody to use Office365. NO, NO, NO I am not going there! There is harvesting, and there is harvesting of user data; but sorry not with me! So what was the solution with Outlook 2010? I have recreated everything (I hope) in Mozilla Thunderbird. The only outstanding topic is my tasks. I must admit that the task handling in Outlook 2010 was quite brilliant. Again the calendar was a little tricky to get working as Microsoft doesn’t permit Thunderbird to sync both ways with their calendar; but they do let Google sync both ways (I think but it doesn’t seem to work anymore), so I loaded Google calendar with my Microsoft online calendar; then I loaded Thunderbird with “Provider for Google Calendar add-on” and imported the Google calendar – without any problems and now I can update my Microsoft calendar from my desktop, my mobile and my tablet. Brilliant! A friend of mine wanted to scan in a picture to publish it onto Facebook.The all-in-one used was a Canon MG2100. As each of the “Canon Solution Menu EX” works slightly different so I had to listen to what they were doing at the other end of the phone and hope that I could talk them through some sort of solution (without having the User Guide). So we saved the scan as PDF – oops where did it get saved to? find and click on the “just saved PDF file”. So now we have the file open – what next? and approximately in the middle of that list select and click “Snipping Tool”). let go of the mouse and your selection is now placed on the clipboard and visible in the “Snipping Tool” window. You can now either save the image directly from the “Snipping Tool” or paste it into any applications – like Word, eMail or an image manipulation program. That’s it – I am not telling you how to post/publish on Facebook. I downloaded the Canon MG2100 user manual and saw that we could have skipped the PDF file and the snipping, but as I like the “Snipping Tool” I am only glad to pass that information on as well. It all started after I successfully installed Ubuntu on a XP laptop; it’s cd/dvd player didn’t work and because of the way Ubuntu installs (from boot up) I couldn’t use an external dvd player; but had to make a bootable flash drive and tell Ubuntu help me installing (this meant that Ubuntu created a dos bat file telling where the software could be found). After that I could perform a total installation. So being rather of an inquisitive nature, I just had to install Ubuntu onto one of my win7 learning pcs (it kindly comes with “Libra Office”, “Firefox” and much more software, that I still haven’t worked out how to use and access). I installed it as a dual-boot system; and found that Ubuntu is the controller of which environment to boot. There are 15 seconds to decide whether to boot Ubuntu or win7. The choice is displayed on an Ubuntu coloured screen. Ubuntu is the norm and unless win7 is required this will be loaded; it’s a matter of moving the cursor down to win7 & hit the [enter] key to load windows. Loading Ubuntu is way faster than loading win7. I have managed to change the normal background to something grey and easy to look at. I have also managed to look at and use documents from my windows directory. That was easier than I had anticipated. All I needed to do to access to my Dropbox was a quick installation and all my files are now available in Ubuntu. The same applied for Twitter; it was so easy and quick. If you answered “Yes” to all the above questions you can then safely install Ubuntu (Linux) onto your PC/Laptop. You can install it either as the ONLY operating system on your PC or change your PC to become a dual boot system; where you have to answer (at boot time) which system to use (a Ubuntu screen where both Ubuntu and Windows are the choices). By using dual boot you can then when you need to re-boot and use Windows for example for your scanner – that is – if you can’t find the Linux driver for it. Ubuntu offers thousands of apps available for download from the software center. Most are available for free and can be installed with just a few clicks. My aim is to provide you with some computer awareness! I will teach you how to use a PC and how to “tame the beast”, so you need not be afraid of using a PC and you will become excited by its potential. I can come to you and teach you on your own PC or you can come to me and use one of mine. I teach individuals or small groups of maximum 3 persons.